The steamy sulfur springs north of Rome may be out of Dante’s “Inferno,” but locals and pleasure-seekers find them refreshing. 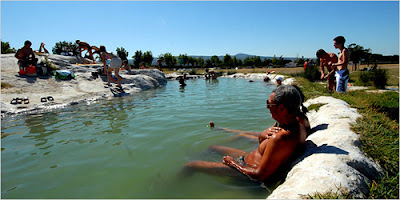 Bulicame is one of the natural sulfur springs that dot the province of Viterbo, near Rome. They were discovered by the Romans in the fourth century B.C.